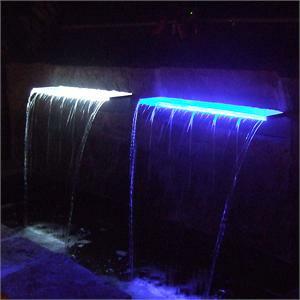 Color Changing Colorfalls are the first LED lighted weir specifically designed for water features, retaining walls, & pond-free applications. New larger opening produces a thicker water sheer, less splash, more color and reduces clogging caused by debris in the water. 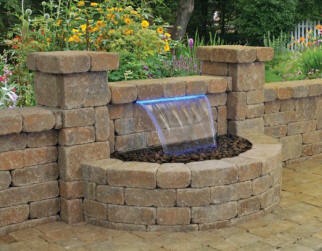 Specifically designed to work with most retaining walls to add a beautiful sheer waterfall. Removable back plate provides unparalled access to the interior and light bar for routine maintenance. Units can be connected together to create a larger sheetfall. Due to size, the 36" units ship "Oversized"
Note: All ColorFalls are intended for use in Pond-free or treated water applications. Traditional water gardens contain large amounts of organic debris. This debris can build up over time and affect the water flow through the baffles. 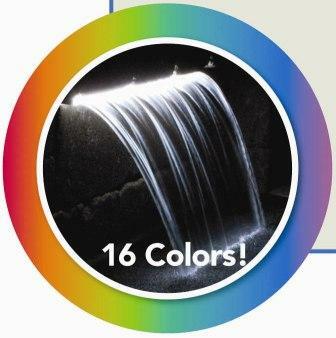 When choosing a pump, figure on 1,200 gph per each 12" of Colorfalls. 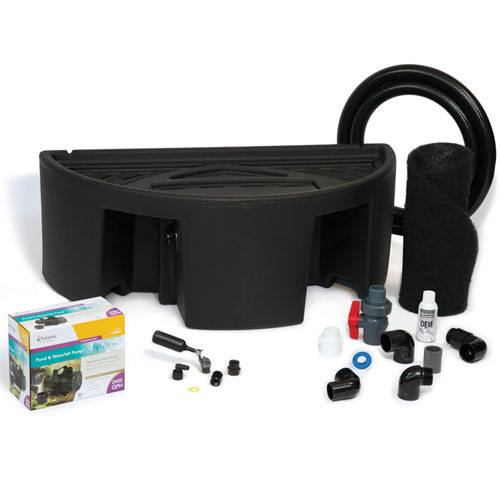 If purchasing these in a kit, the correct pump is included. 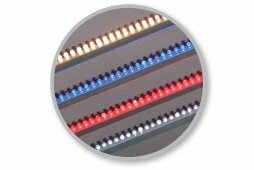 A Master Color Control Module with Remote is available to control and synchronize up to (5) Color Changing Light Bars as a single color across all (up to 15' wide) or you can select the color of choice. (see related items below video). 10/25/2013 – 2 questions on the same subject. I need some type of instructions for the remote I ordered the (Atlantic Water Gardens . . .
8/20/2013 – Is there a Manual for the Remote? 6/11/2012 – Is there a Manual for the Remote? 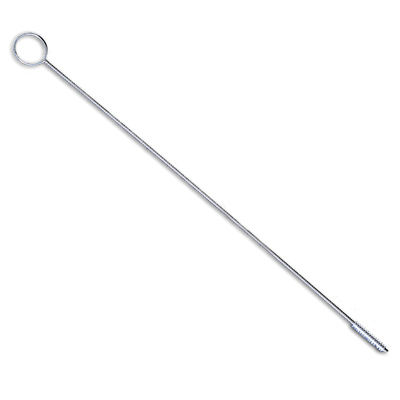 Colorfalls Spillway Cleaning Brush – Keep your falls extra clean with this handy brush!